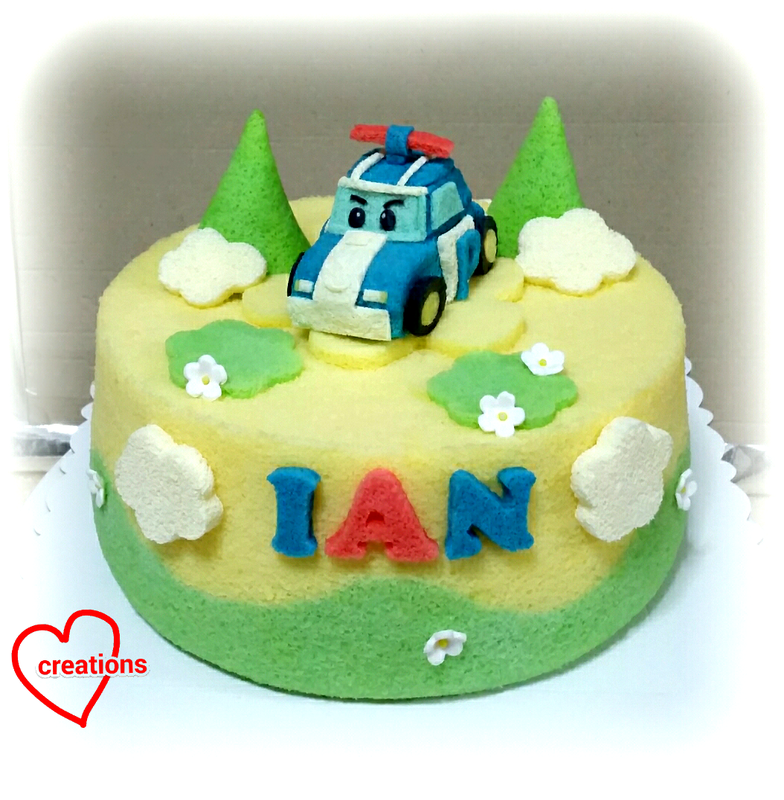 This is my humble attempt at crafting the cartoon character Robocar Poli from chiffon cake. It’s a South Korean cartoon gaining popularity here and Poli is the noble policecar that helps to protect the residents. Ah this was another tedious topper to craft; I took 2 days just for the tiny topper. The base cake is naturally coloured with turmeric-based powder (for sky) and pandan (for grass), and I made some trees from pandan chiffon cake to go along with it. Thankful it was well-received and her son loved it. Hi, may I know do you sell this cake? I would like to get it for my son's birthday. Thanks, no longer make copyrighted characters but with toppers/toys it's fine. You can send an email from the About Us page. Thanks.